Fuse African beats with plenty of funk, throw in some Latin spice, and wrap it all around an electro-pop spark and you have the accelerated sounds of Mahjongg. On their debut the band delivers beats that are cold and mechanical as well as spicy and lively, ensuring an interesting dynamic that makes this record something to check out. 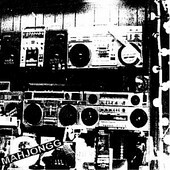 Whether you want to dance, need a record to play in the background at your party, or just want something creative and innovative, than you'll want to check out Mahjongg. They deliver the goods with Machinegong, a seven-track EP of diversity, unpredictability, and plenty of fast and slow rhythms for you to bounce and move to. I'll give it a B.